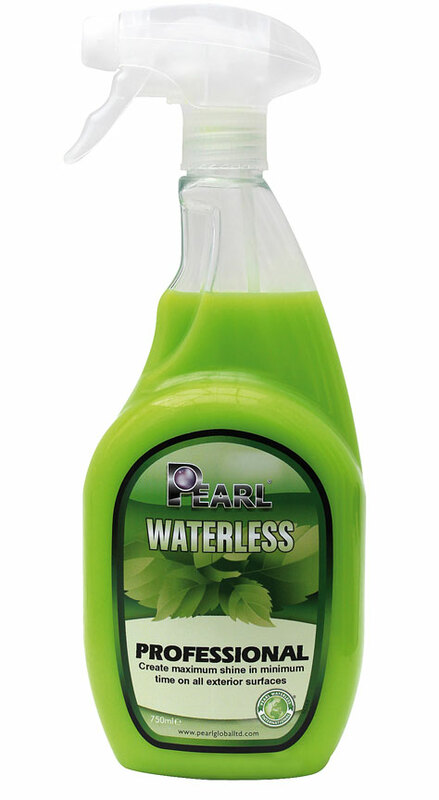 Factory-Direct Pearl Manufacturer Waterless Car Wash & Environmentally Friendly Detailing Products | International Importers Welcome! 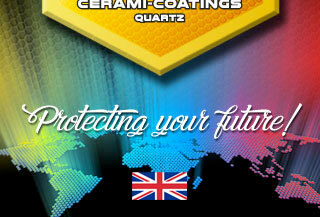 British Manufactured Waterless Car Wash, Detailing & Protection Products shipped directly throughout the world. International Importers & Entrepreneurs Welcome! 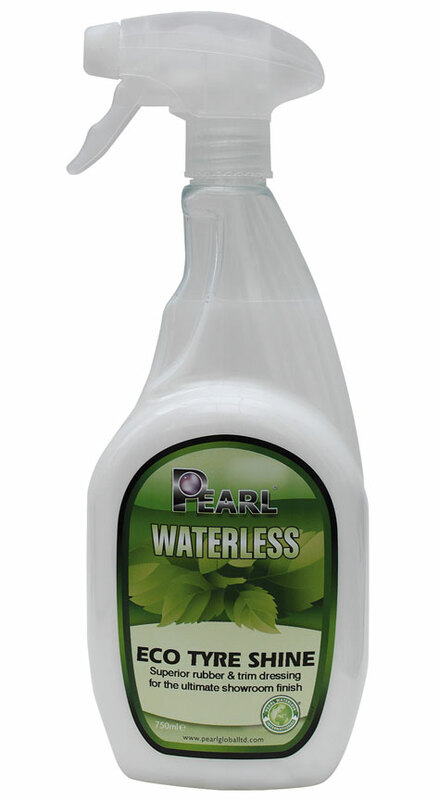 Pearl Global Limited is recognised as Europe’s leading manufacturer of the very best Eco-Friendly “Green” waterless car wash and premium detailing products. 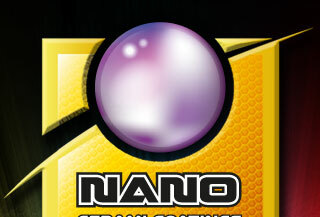 Our innovative, diverse and dynamic range of auto cleaning, conditioning, paint rectification, finishing products and technically advanced protective Pearl® Nano Ceramic Quartz auto body, gel coat, glass and alloy wheel rim coatings are formulated for the professional, commercial and consumer markets. 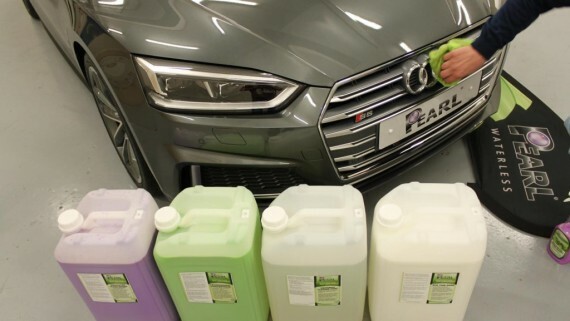 Pearl® specialise in providing Eco-minded entrepreneurs, auto maintenance importers, valeting specialists and classical car care enthusiasts with economical super concentrated formulations together with high-end showroom and factory finish products which we export throughout the world directly from our manufacturing plant in Manchester, United Kingdom. Upon scheduled arrival at the specified target location, all our products are then distributed directly or effortlessly decanted, diluted, bottled and supplied onward by our customers from their own business premises into their clients’ local, regional and national locations. To maximise all our customers’ business potential we provide unrivalled commercial, consumer and retail options together with our vast experience in presenting business opportunities to use our industry recognised Pearl® registered trademark brand or utilise our chemical expertise, quality in product production and processes for their own private white label or brand. We are a commercially proven manufacturer that delivers tailor-made options to support your company business acumen, plans and strategies which have been extremely successful throughout the globe over many years in helping all our customers’ businesses and in doing so have directly shipped our industry-leading waterless car wash products to over 100 countries worldwide and continue to exponentially grow and transcend into new countries, territories and regions year on year. Our entire International Standard Organisation production processes are accredited, finely tuned and perfected, from the very start through to completion and total satisfaction, in order to help support and deliver customised solutions to tailor fit their business needs. To ensure seamless and expedited transportation is provided at all times we can arrange and coordinate all of your sea, road or air freight requirements at the very best shipping rates through our global and daily network coverage. Why choose Pearl Global Ltd to support your business? Having identified many years ago that catastrophic climate change is a major and ever-increasing global issue which has culminated in creating an unprecedented water shortage problem, we took the proactive and concerted decision to utilise and maximise our manufacturing infrastructure, production capabilities and in house chemical expertise to produce an environmentally friendly range of innovative products to help aid this globally affected situation and in doing so remain resolute and steadfast in our position as industry leaders in ‘Greener and Smarter’ auto care solutions which radically help to save vast amounts of water wastage and energy consumption together with eradicating airborne and downstream pollution caused through electrical and kerosene-fuelled high powered pressure washer machines and effluent rinse off entering water drainage systems. In addition the reassuringly and direct reciprocal answer to this question and with total transparency is that we unreservedly do not compromise on quality, our products perform supremely well and have done so throughout the world for many years, because on point we deliver the very latest technologically advanced waterless cleaning, polishing and protection solutions which have resounding capabilities and ecological benefits. 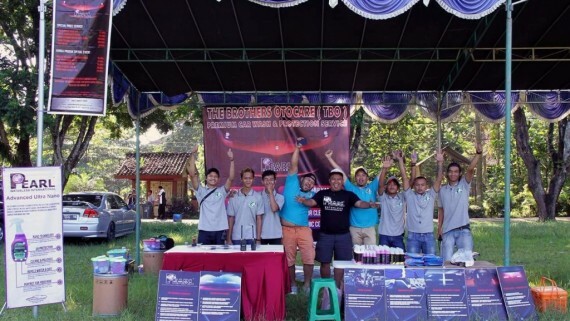 Our team goes far beyond the role of just “product manufacturer and supplier” as we help, advise and support you the entire way as your chosen manufacturing partner. Pearl Global is a “time-tested” professional company with the ultimate in “commercially proven” Eco-Car Care products combined with over 28 years of chemical production expertise incorporating very latest cutting edge Nano ‘Lotus-Leaf Effect’ Technology and Super-Hydrophobic cleaning, maintenance, detailing, protection products and Nano Ceramic Quartz Coatings. Whilst we certainly do not interfere in the way in which our customers run and operate their own businesses, it categorically remains our unreserved commitment, unrelenting drive and determination to help them become successful and succeed on all levels. We have three decades of expertise in working with 1000’s of people in the industry and to complement their business acumen we deliver a vast experience which has enabled us to assist our customers in preventing them from inadvertently making some of the fundamental, elementary and avoidable mistakes that we have seen others make in the past. Partnering with Pearl Global Ltd is based on positive, solid, trusting, long term commitment that culminates in rewarding business relationships that all parties reciprocally and mutually benefit from towards a successful and sustainable future. We provide proactive solutions, unrivalled support and genuine opportunities for commercial and consumer businesses within the public, private and retail market sectors. 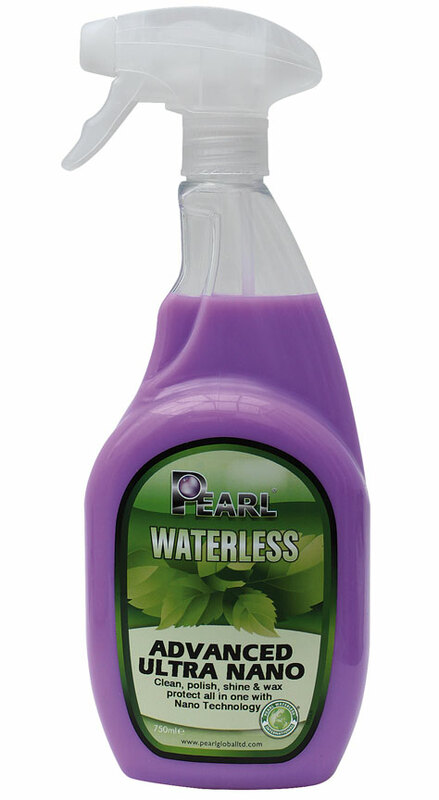 All Pearl® waterless auto care products are exclusively manufactured at our plant in Manchester, England and are extremely user, vehicle, environmentally-friendly, economical for transportation, non-hazardous and in full compliance with BS EN ISO 9001:2015 and ISO 14001:2015 industry leading standards and the very latest European Union (EU) and Global Harmonisation System (GHS) stringent Classification, Labelling and Packaging (CLP) together with REACH directives. All Pearl products are supported by current Safety Data Sheets (SDS); ensuring safe use, storage and distribution to our national and international export clients. 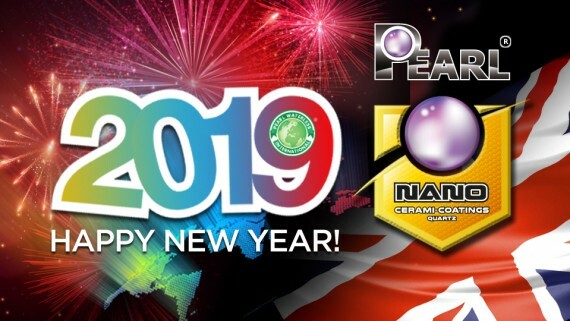 Pearl® registered trademarks, Intellectual Property Rights (IPR), industrial design and copyrights are assigned and exclusively owned by Pearl Global Ltd in the United Kingdom as designated by the World Intellectual Property Organization (WIPO). Combined with our continued membership with The British Chambers of Commerce (BCC) together with our Approved Exporter Status, in accordance with article 22(2) of the Union Customs Code (EU Reg. No. 952/13) further endorses the proactive lengths we undertake to ensure our product quality, exemplary service levels and strong market position with all our logistical partners whom operate in total compliance with British International Freight Association (BIFA) Standard Trading Conditions throughout the world, ensuring seamless courier, road, sea and airfreight transportation presents our clear focus to protect and safeguard all our customers’ business security, longevity and success. 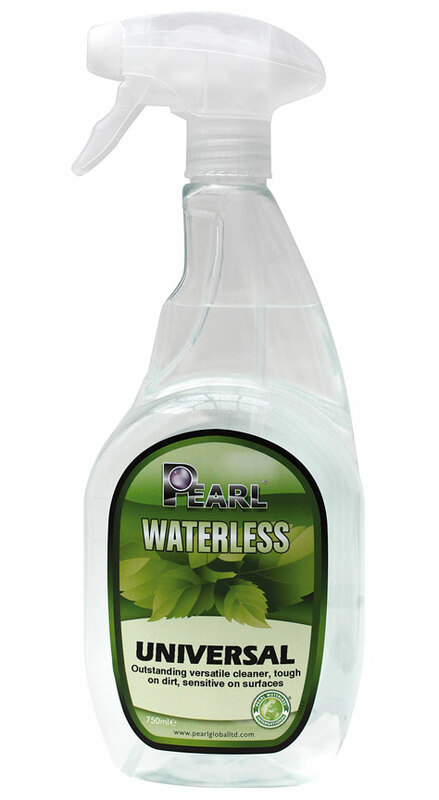 We greatly appreciate you taking the time to visit our website today and should you wish to find out more interesting ecological facts and information about our company and products, please kindly follow the link to our Pearl® Official Newsletter and we will be delighted to assist you further. Our products are in stock and available in many container sizes including bulk 25L drums, 205L containers and 1000L IBC tanks for all your company’s needs. We are ready to help you with all your car care, detailing and environmental protection requirements.